My Wholefood Family Essentials: Happy Father's Day! It's Father's Day here in Australia so I wanted to give a shout out to all the Dads and Grandpas on this important day. And a special mention of course goes to my wonderful husband who at this moment is off at the chemist with Oscar and Charlie buying medicine for me. I've been sick for a week now and still feeling lousy. Despite that I made Eggs Benedict for him to have breakfast in bed this morning. 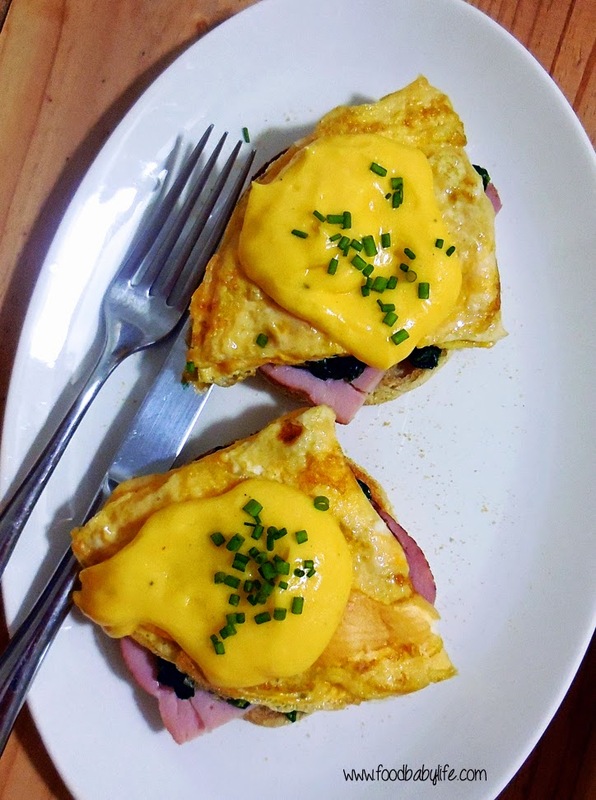 My version of Eggs Benedict includes a toasted English muffin topped with freshly sliced ham, spinach sauteed with garlic, a wedge of omelette (the only way my husband eats eggs), hollandaise sauce and a scattering of chives on top. Yum! I also have a gorgeous chocolate and strawberry dessert planned for tonight which I will post about later in the week.